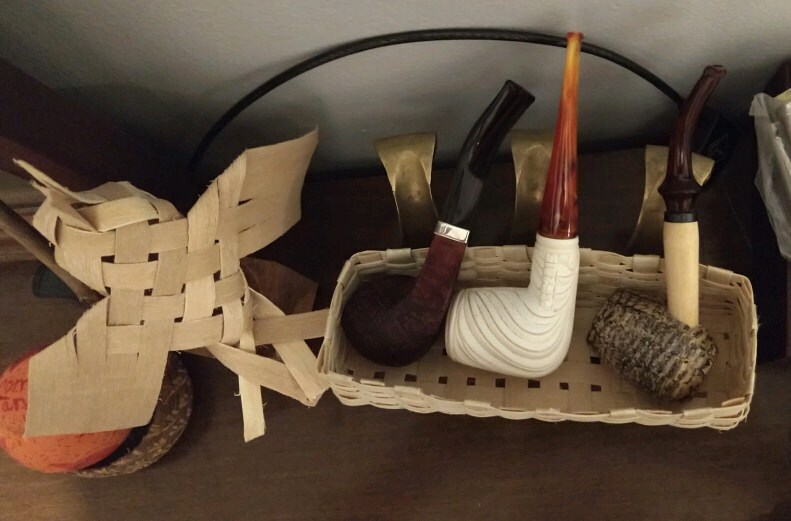 Pipe racks are overrated. Who has time to put a pipe back into it's own individual place? 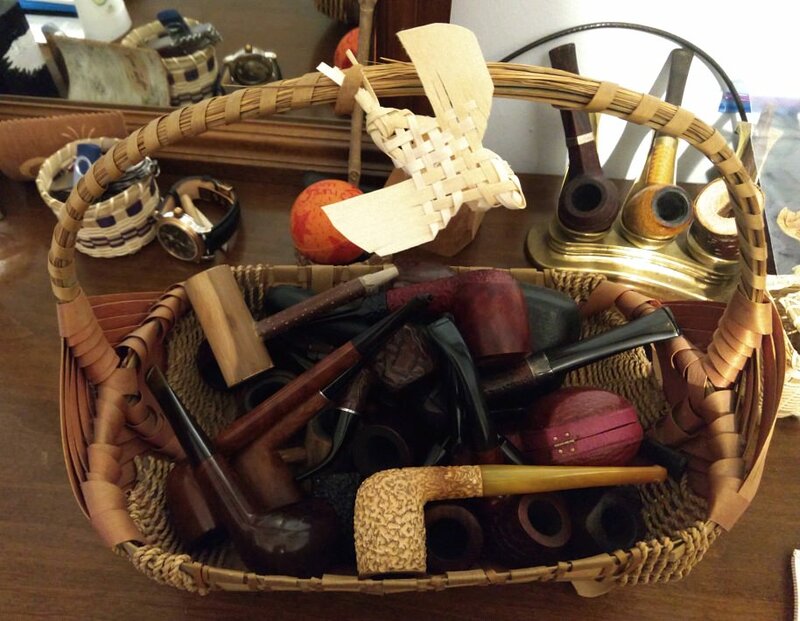 A basket lets my pipes hang together and feel less lonely between smokes. Wooda, what's up with these fellers? Banished from the basket kingdom? Out on parole? Expatriates? "If they're going to be on our dresser, make it look nice." If you had listed that meer POY for sale I don't think I could have resisted! They get a nicer, newer basket because they're on display. 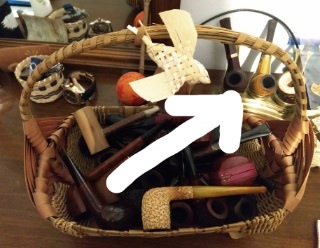 I won't even tell you about the pipes stashed strategically throughout the home decor. They live a lonely life among the Wife's jarred fairies and driftwood pieces. Never even crossed my mind to sell it.